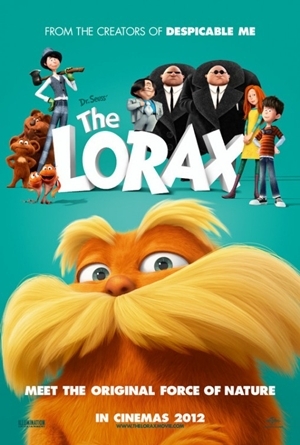 Oops, I guess I left this movie out though I’ve seen it long ago. It’s a great movie to watch after work because you just laugh your stress away. David Clark (Jason Sudeikis) is a street drug dealer who has to smuggle marijuana out of Mexico when he loses his money and stash of drugs to street thugs. He enlists the help of stripper Rose (Jennifer Aniston), teenage runaway Casey (Emma Roberts), and his virginal neighbour Kenny (Will Poulter), to pose as a family to reduce suspicion at the border. Hilarious hijinks ensue and my personal favourite is Kenny rapping along to TLC’s Waterfalls! Their encounter with the Fitzgeralds, another family traveling in a RV, kept things disturbing especially when Rose and Casey were giving Kenny tips on how to kiss girls. It also shows that sometimes when your own family fails to live up to your expectations, making your own family can be better the real deal. 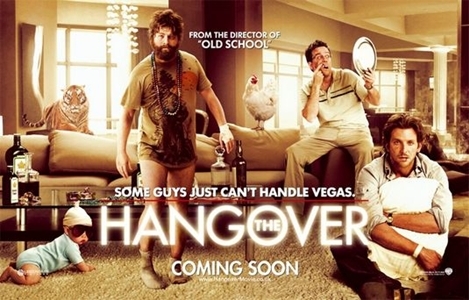 It’s the final part to the Hangover trilogy! The Wolf Pack is trying to get Alan (Zach Galifianakis) to a rehabilitation facility when they are ambushed by Marshall (John Goodman), mob leader, who has a bone to pick with Chow (Ken Jeong). Marshall takes Doug (Justin Bartha) as collateral and gives them three days to find Chow. Understandably, some people may have gotten tired of the drunk, hungover not-funny jokes in this sequel. 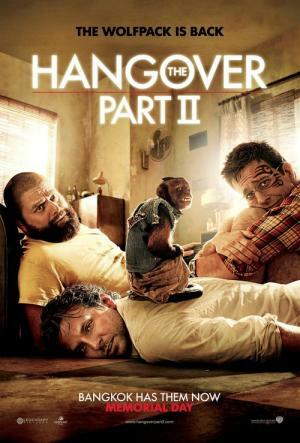 Well, to me, the very first Hangover was the funniest ever – I don’t remember laughing that much during a movie. Some jokes really fell flat. Alan continues to befuddle people and pick on Stu (Ed Helms) and I don’t know what to think about his scene with Melissa McCarthy. But one funny aspect was them revisiting Las Vegas (where it all began!) and the movie started to pick up pace and humour. The Wolfpack is back; this time Stu (Ed Helms) is getting married in Thailand and their celebration goes awry when they find themselves in a rundown motel in Bangkok with no recollection of the previous night. And Stu’s future brother-in-law is missing! This was hilarious at some parts but I still liked the original better. There are much more in-your-face moments that are either laugh out loud-funny or just plain crude (which later becomes laugh out loud-funny). Quite a bit of male nakedness and I’m so glad Ed Helms contributed to the soundtrack because his song is perfect, funny and totally accurate. Personally, I thought his experience was probably the worst. But Zach Galifiniakis’ Allen somehow steals the spotlight whenever the monkey is around. LOL! STAY DURING THE CREDITS TO VIEW THE OUTRAGEOUS PHOTOS OF THEIR WILD NIGHT! 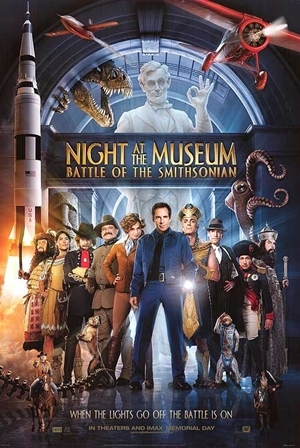 This has got to be the funniest movie of the year~! I practically laughed from start till finish! The story goes like this: two days before Doug and Tracy’s wedding, his bestmen (Phil, Stu and future brother-in-law, Alan) bring Doug along for a stag party in Las Vegas, promising him a night he won’t forget. However, they woke up the morning after with the worst hangover they have ever had. Then the laughs start when they start to retrace their footsteps by objects they find in their pockets, wrists, and whatever is left in their suite: TIGER! BABY! Doug missing! Stu’s missing tooth! Every single reaction they have is funny! Especially Alan, who doesn’t seem to know any EQ at all. He tried to do a blood sacrifice during the toasting session (Eeew!) and forcing the sunglasses on the baby, calling it Carlos and making him do funny things with his fingers. Stu (The Office’s Andy Bernard), being the more cautious and uptight fellow, is very concerned about his missing tooth and the frequent calls from his girlfriend who aims to control his every single move. The best thing is, he gets more than he bargained for when he arrives at The Best Little Chapel, complete with commemorative mugs and caps. Plus, Stu also sang a song about their Vegas predicament! That was so Andy Bernard, always singing weird stuff. The song (titled: Stu’s Song) is featured in the soundtrack too! Watch the credits roll and you will find hilarious extras from the night before.